District 21 – December 2011 – Lincoln Nebraska A.A.
Intergroup Liaison Report (Becky read from the internet ):Emily not present. Amy attended and spoke at District 3 and 21 GSR workshop. Nothing really to report, has some new revised GSR information from group will get with Pat to give those to her. Pocket of Enthusiasm (Jenni H.): Meeting is going well, attended the GSR workshop, was good and beneficial, she found it very helpful. They have a new speaker chair, and will start in January. Sufficient Substitute (Becky N.& Sam R.): Two attended the GSR workshop, they enjoyed it. Elections have happened, and officers are in place. Anniversary went well. Women’s Circle of Friends (Jennifer. ): Nothing new to report, good attendance 15-30. Lots of treatment center clients in attendance. Sponsored several to attend the Christmas party. Young People’s (Jeremy E.): They will be moving in the next couple of months, looking at several locations. Miranda R.is going to be the GSR and alt GSR is Amanda C. They have been at the same meeting place for 15 years. This is a big meeting and a big move. Cafeteria Group (Tom B. ): Attendance is good, average around 45. We do have people from the Independence center and Saint Monica’s. Tom will still be the GSR for this group for the next two years. Seeking Solutions (Nancy S. ) Doing really good, close to 100 in attendance. Doing a group inventory. Lots from work release. Becky R is the Alt GSR. Babysitting is now self supporting. The Steps We Take (Linda S.): Nothing new to report. 12-14 in attendance. Love the new meeting space. 11th step (Jackie S.) not present. The Wednesday noon luncheon group (Margaret N.) Not present. Combined GSR/Delegates Report workshop Dec. 3rd. This took lots of planning and a special thanks to Bernice for all her help and support. Group information change sheets from Area 41 Registrar. Is continuing to gather the information and will turn them in to Pat as she gets them. Area 41 voting items for January 2012 Assembly. We will vote on these at the January 15th District 21 meeting. Voting items were reviewed to ensure understanding so that the GSR’s present could take these items back to their respective groups to be voted on. 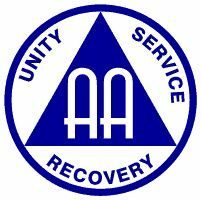 They are trying to get the Lincoln AA anniversary going again. If this is to get going again, they will need 15-20 people who would like to help. You can contact: robertcashatt07@gmail.com for more information. They have not held this for the last 5 to 6 years. If everyone can look at the meeting list, and see if your meeting is wheelchair/handicapped accessible. Bring this information back to District to update this information on meeting lists. Include if your meeting has childcare.